Andreas Budweiser, you may know his name from the German thrash metal band Predatory Violence, of which he is the vocalist/guitarist. Andreas already released four full-length albums and 2 demo’s with Predatory Violence so far. However, in May, he released his first solo effort. This solo debut is called Alarm and is released via the also German label Kernkraftritter Records. The first melodies of opener Melody Of Scorn are immediately promising and there sure is an old school heavy metal vibe present. 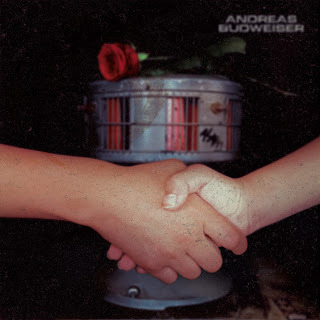 While it might let you think about older metal bands, Andreas does surely give his own, personal touch to his music which for sure doesn’t sound dated. Variation means a lot for him on this album, there is something for everyone on Alarm. For example, the drums in the faster tracks Alarm and Stalking The Prey could also fit really well in thrash metal. However this isn’t very strange, because of the fact that the drummer on this album is David “Dave” Amendt, drummer of aforementioned Predatory Violence. The other person that can be heard on Alarm, besides Andreas and David, is bassist Ralf J. Rock. He gets a bit more space to show his skills in Stalking The Prey. When talking about variation, the electro-influences in Pika-Don and the many tempo-changes are definitely worth mentioning. Andreas’ vocals are sometimes a bit low in the mixing, but not very much. His vocals sounds very nice with as highlight Pika-Don, which makes me think about Judas Priest, partly because of the Rob Halford-like vocals. Vocal-wise The Wig is also special, because of the two different styles combined. On Alarm there are a lot of things happening, but it isn’t an overdose. Everything is brought with a lot of energy, which makes it impossible to sit still while listening. Andreas Budweiser delivers a perfect solo-debut with Alarm. The time flew by listening to it, recommended for sure!